Liz has seen him around school. 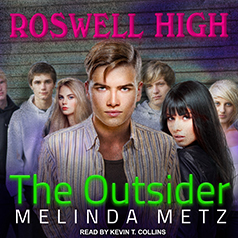 It's hard to miss Max—the tall, blond, blue-eyed senior stands out among all the other students at Roswell High. So why is he such a loner? But he knows he can't get too close. He can't risk her discovering the truth about who he is—or what he is . . .